The State of Kerala, Situated On India’s Tropical Malabar Coast, is Blessed with a Long Arabian Sea Shoreline, Palm-lined Beaches and Backwaters. this Makes It a Perfect Host for Vacation Destinations Munnar and Thekkady. Munnar, Lying in the Western Ghats, Has Slopes that Support Tea, Coffee and Spice Plantations and Thekkady Has as An Unending Chain of Hills and Forests that are Home to Elephants, Langur Monkeys and Tigers. Spend a Memorable Holiday Relishing the Natural Beauty of These Places On a 4 Nights and 5 Days Trip with Oyo, Relaxing and Enjoying Our Exceptional Services. ac in Houseboat Will Be Operational Between 09:00 Pm – 06:00 Am. 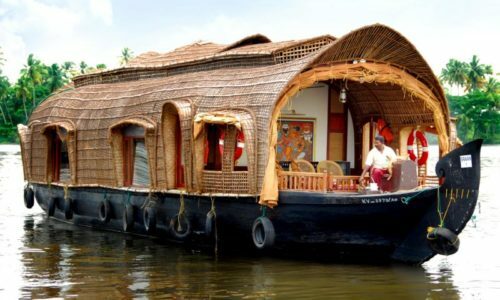 houseboat Type – Shared Unless Specifically Mentioned About Private meals other Than Those Specified Above.